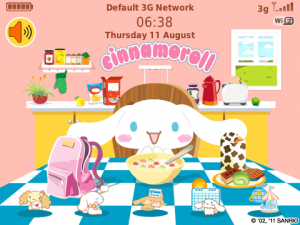 Cinnamoroll, a cute little puppy form Sanrio, just cant wait for a yummy breakfast in front of him. Try it now and youre gonna love it forever! Navigate to Options – Theme – Select the desired Theme and activate. If you have questions or need tech support please contact us before posting a review . Dont hesitate to ask if you want anything.